Thank You Bedford Area Businesses!!! Now that we have had a moment to take a long, deep breath from our past events, it is time to show our gratitude to all of our sponsors and donors and those who really stepped up to offer their time, talents, merchandise, services, food and financial support! Please consider patronizing these fine establishments and services, and show them how much you appreciate that they support local Veterans! If we missed anyone, please let us know so we can add you!! 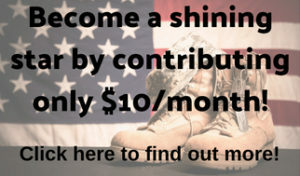 With your support, we are able to keep our doors open and help our local Veterans directly get their needs met! We could not do it without you and we are forever grateful!